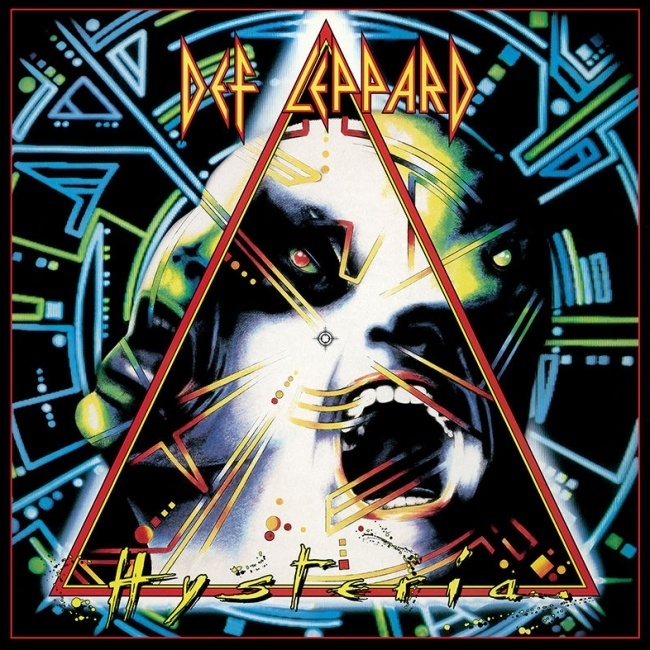 Def Leppard singer Joe Elliott was interviewed in August 2017 when promoting the Hysteria anniversary and the full audio is available. Joe spoke to Kylie Olsson for her new podcast show Music And Me. 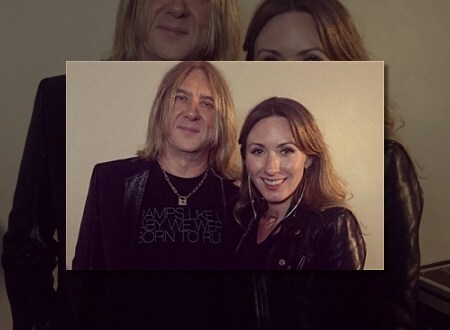 She interviewed Joe in August 2017 in London and talked about the new show at the same time to the BBC when talking about making the Hysteria At 30 documentary. Joe talked about buying his first singles/albums, T. Rex, his first jobs, how he started as a singer, joining Def Leppard, 40th anniversary, meeting Pete Willis, band friendship, the Spoon Factory, songs that remind him of home, David Bowie, first live show, Hysteria album 30th anniversary, favourite Hysteria song to play, new music he listens to and the songs to be played at his funeral. 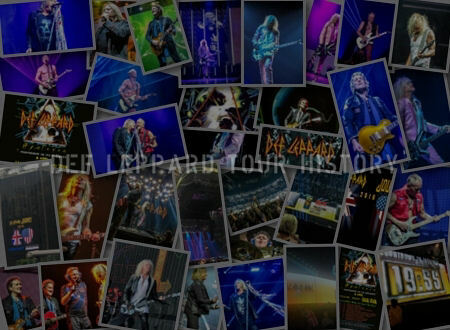 He mentioned the bands very early days and his first audition along with recounting the making of the Hysteria album. 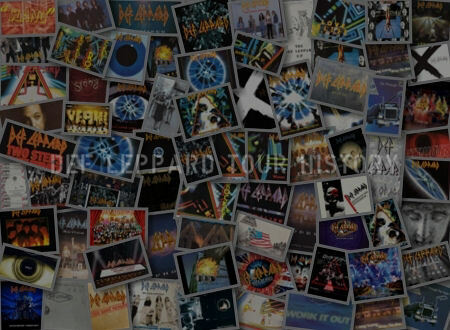 Show Description - ‘Music and Me’ is a new podcast series hosted by music journalist and presenter Kylie Olsson, with some of rock music’s finest musicians, producers and industry people talking about the tracks helped shaped their lives and the story behind them.". Listen to the full 29 minute interview at acast. "When I got the job in Def Leppard as a singer it was only 'cause a) I was the only person around and tall and had a great record collection and kinda of learned to sing as I went along." 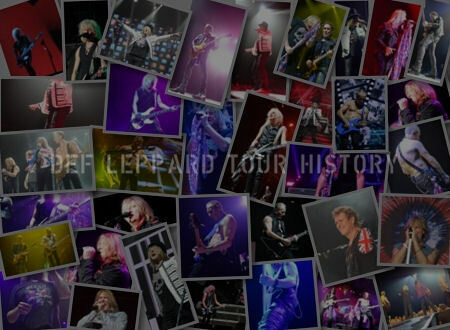 "It's 40 years later this month that I met Rick Savage for the first time. I'd known Pete Willis for quite a while 'cause we had a mutual friend. And so Pete was somebody that kind of came in and out of my life from when I was maybe 15 years old, 16 years old. In parks, you know, you just see them in, wherever kids used to hang. In a park or a street corner and I knew he played guitar. That guy over there plays guitar, he's really good. Then two years later I saw him and bumped into him and I'd just bought this guitar from a second hand store in Sheffield and I learned how to play just basic chords electrically having played acoustic for 8 years." "I wanted to try...the Punk thing showed me that anybody could do it, you know. And I saw home one day. I'd missed the bus coming home from work. And if I'd not missed the bus it would never have all happened which is why it's a great sliding doors moment. But I was walking up the hill home and he was walking down it. I just said 'Hey Pete you play guitar. You fancy getting a band together 'cause I've just bought a guitar.' You know we could see what kind of noise we could make. And he said 'Well I've just kind of putting a band together actually so I'll pass but if you know anybody that can sing we're looking for a singer' And I just went 'I'll do it'." "And he went oh, alright well, you know, he got together and he brought Sav and Tony Kenning to me Mum and Dad's house and we went up to my bedroom and they saw my record collection and saw how enthusiastic I was and that's the night Def Leppard was born. Including the name." 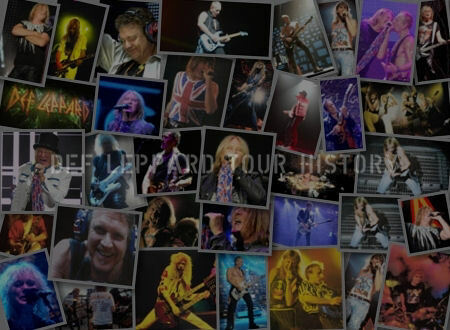 Start Of Def Leppard/What did you sing? "I didn't sing anything. I didn't sing a thing. I was in the band for six weeks before I even opened my mouth. I got the job, that's what I'm saying, it was just the weirdest way. They saw all my record and we just talked. We wanna make this, we wanna do this. And I said listen to this and I introduced them to some songs they'd never heard and bands they'd never heard of. And they were talking about bands. Oh you need to go and listen to this crowd and I went what do you mean these? and I had the record. I had a great record collection and I think they all looked at each other and went wow, he's keen." "And I got the job there and then. they didn't even care if I could sing or not." "Yeah we bonded over music. It wasn't a business thing. It was, it was organic. It was the most organic situation I can imagine any band's ever been through. U2 may argue that theirs was as organic and other bands may say the same thing. But I wouldn't know their stories, but for us absolutely it was. You know we were six weeks. We were getting together to just talk about how we were gonna do it and we were writing songs before we had microphones to sing them into." "Tony the drummer found a rehearsal room, the Spoon Factory down near Bramall Lane in Sheffield and we got this room and we cleared all the dirt and all the machinery out of it and we swept it and we painted the walls and we put posters up the walls. You know middle pages out of Sounds magazine had spreads about certain things. I remember there was a huge poster for the first Peter Gabriel album where he was wearing American Football headgear and stuff and you know pictures of Kate Bush and all this mad stuff on the wall. It was a great time and then we started getting bits of gear and we brought it all in and then puts carpets down and there was a sick in the corner and a plug so we could actually boil a kettle and brought a record player down. And it just became like a den." "And then bit by bit we just started getting gear and we started borrowing gear and then one day after about five or six weeks we fired up and we played Suffragette City. Which is the first song I ever sang down a microphone." "The first we tried to do was Stairway To Heaven, as all bands probably did, but at least we didn't do Smoke On The Water. But we tried to do Stairway To Heaven. I'd listened to the record at home. I didn't really know Led Zeppelin, I wasn't that big a fan of them. I was more into the pop rock stuff like Slade, Mott The Hoople, Sweet." "I'm sure that probably did pass through our subconscious at some point. I don't remember it's that long ago. But it didn't take four years to make. It was four years since, four and a half years since Pyromania was released when it finally came out. We toured Pyromania for a year. We didn't start recording it for nearly, it must have been 18 months after Pyromania was finished." "We started writing it in February '84 and we didn't start recording it until August '84. The actual record that you hear, we didn't really start recording that until mid '85 and it was done by the arse-end of '86 and then Mutt spent a long long time mixing it but it didn't come out until August 'cause there was a good four months of prep for artwork and getting the press ready and getting everything ready for this big massive release in August." "But the album was with the record label probably by March or April. You know it was a long time laboured over but what you hear was the result of about 18 months of some just continuously hilarious experimentation on our part to play with this new digital technology. We didn't really spend a massive amount of time. It's been kind of documented that we'd spent forever doing millions of takes. You do do a lot of takes when you work with Mutt Lange. But a lot of the time we spent going down avenues that were dead ends and coming back up them and having to start again because we weren't happy with the results, but we were happy with trying to do something that nobody else had ever done. And that was the important thing. It was just hanging in there and not just bailing and going oh let's just make Pyromania II. It'll be fine." "Because that would have been a money decision. Go out and tour, you'll make some money, it'll be great. No we wanted to make a piece of art. We wanted to make a statement. We wanted to try and make a record that nobody else had ever made. We wanted to make a leap of faith. Musically, lyrically,. production wise. In the same vein that say A Night Of The Opera was from Sheer Heart Attack by Queen. You know the same band but wow, what a change. As that was Sheer Heart Attack was a big leap from Queen II. It was a big thing for us to do that. To get into the big league and not just make another record that sounds like the one we made before." "So I don't think we ever worried about the sales of it because we were too young to even think about that. They are rules that you apply to stuff now. In the 80s everything sold. I mean you only have to look at every band you heard of, their album sold 2 million."